So…I’ve decided to post another cookie recipe. This time it is going to be a short one, I just thought it would interesting to post this one just for fun. The recipe is a good balance between sweet, savoury, and even a bit of umami. I was coming up with some ideas for holiday cookies when this idea suddenly hit me: miso shortbread. For an Asian flair, I’ve even added some toasted sesame seeds to add more flavour, and the result was great. Sprinkling the tops with sugar also added an extra crunch. This is a very easy recipe to prepare, and…different, so don’t expect the taste of a typical shortbread cookie. Enjoy! Yield: Makes about 15 4cm square cookies. In a medium bowl, beat butter, icing sugar, miso paste, and vanilla extract until well incorporated. Add in flour and almond flour. Mix with a wooden spoon or spatula until a dough forms, do not overmix. Wrap in plastic and chill for at least 60 minutes. Before rolling out cookies, preheat oven tot 350F / 180 C.
On a lightly floured surface, roll dough to about 8 - 10mm thick. Cut out shapes you like with a cookie cutter. 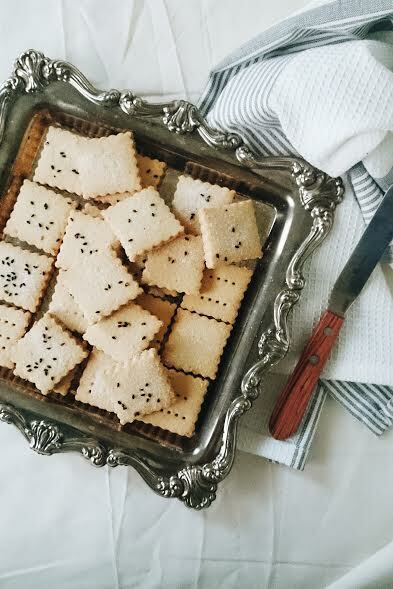 Arrange cookies on a parchment lined cookie sheet, sprinkle generously with sugar and sesame seeds. Looks sooo perfect! 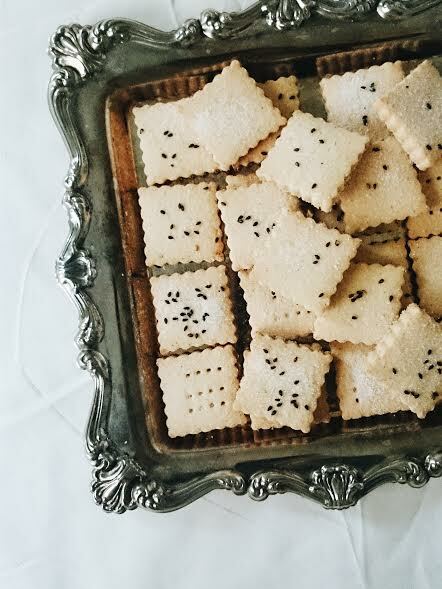 It is very unique to have miso and sesame in shortbreads. I would love to try them.